Colby Instruments designs and manufactures the most accurate and highest quality precision instruments available. 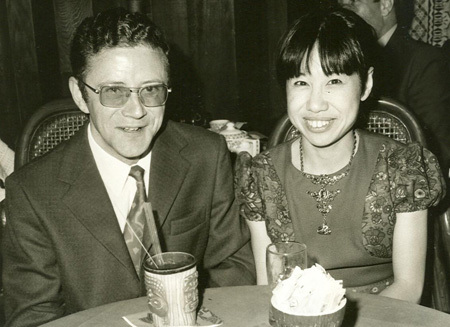 Originally founded in 1977 by Dr. Siegfried Knorr and Dr. Betty Chang, our first products were focused primarily for the microwave and RF market. In the first 10 years of operation, we introduced a number of very high-speed pulse generators and clock drivers from DC to 20 Gb/s with transition times as low as 12 picoseconds. The most outstanding performance characteristics were high stability and extremely low displayed trigger jitter. Our most popular pulse generator (Model PG1000A) offered performance (0 to 1Ghz pulse with <200 ps rise time for ECL) and value unmatched by any other product on the market. In 1988, Colby Instruments introduced a new product line of Precision Programmable Delay Line Instruments and Phase Shifters with resolution to 0.25 picoseconds, and bandwidth from DC to 18 GHz (DC to 40 Gb/s NRZ). These delay lines ( PDL Series of products) are free from all noise sources, including phase noise and jitter since these are completely wideband passive devices. Using a patented electro-mechanical trombone line structure, the PDL offers variable, programmable, and repeatable delay with the highest precision resolution. They represent the most advanced products of this kind available with a proven reliability and performance record. There is no other product in the industry that offers a programmable delay at the precision and resolution that the PDL series models offer. With the retirement of Dr. Knorr in 2003, Mr. Victor Chinn became President of Colby Instruments. Prior to work in development at Colby Instruments, Mr. Chinn oversaw product development at Microsoft Corporation and IBM Corporation. In 2004, Colby Instruments relocated its headquarters from Santa Monica, CA to Bellevue, WA. Victor Chinn developed a second instrument (patent pending), a solid-state electronic version that delays lower-frequency electronic signals to similarly precise levels but at extremely faster switching speeds. Our strength continues to be pursuing excellence in our engineering and in offering a customized delay line product with proven reliability and superior performance. Copyright © 2009 - 2015 Colby Instruments. All Rights Reserved.